On my Facebook account, it has taken about two years to get to my present level of "Friends." I must admit that I do not actively go out and solicit additional friends, I just wait for people to ask or invite only people I have some particular relationship with. Now, we come to Google+. Gone are the days of a slow growth in friends. With Google+ you get contacts every time you open the program. By concentrating on the genealogy community, I will shortly surpass the number of Facebook friends after only a couple of weeks of Google+. Is this rapid growth good or bad? Time will tell. One thing I did find was to make sure anyone you add is really a potential member of your interest community. I had a "Notification" of someone who had added me as a member of their Circle and clicked to check it out. The first thing I noticed is that we had no contacts in common. I have not been adding anyone who did not share circles with someone I could identify as a member of the genealogical community. This particular "Invitation or Notification" turned out to be a highly objectionable spam site. OK, so Google+ has some (probably all) of the same issues as the rest of the Web. We need to be vigilant about being sucked into objectionable sites. Despite this caveat, I think that Google+ could be another interesting tool to help support genealogy. FamilySearch Wiki: Since I am so heavily involved in the Research Wiki, it decided to start with this site. Obviously, this type of Facebook page does not have the usual trivial postings about daily events, but it does give information and communicate about the Wiki. This page is turning into an alternative support page. In a recent review of the page, there were posts about new resources in Canada, Louisiana, and Belgium as well as posts asking for help with indexing. Several contributors gave links to other resources. FamilySearch (main site): This is main site on Facebook and is mostly a link to other pages. There is also another page for FamilySearch with a lot more comments on it but it is not supported by FamilySearch. This points out one of the many problems with Facebook, the lack of identities. The second page cited has no background info and there is no way to tell who put the page online. It is interesting that both the "official" Facebook page has content and comments as well as the unofficial page. The official page also has a lot of identifying information. You might want to make sure you are on an official page before assuming you are talking to FamilySearch. FamilySearch Indexing: The Facebook page has links to Project Status Updates, Discussion Boards, Polls, Notes and Photos. It also has links to many of the pages available in the regular program. Family History Library: This page doesn't see much activity but is a good resource for current programs at the Salt Lake FamilySearch Family History Library. RootsTech: This national conference held in February in Salt Lake City has its own Facebook page. This page still deals with the 2011 Conference and hasn't been updated to the 2012 Conference yet. There are a couple of pages by individuals that feature FamilySearch that I found, but if you see more than I do, let me know. Ancestry.com with Family Tree Maker is conspicuously absent. I have yet to see a Mac genealogy software company show up at an genealogy conference. I wonder how they expect to sell programs? Ancestry.com of course, can rely on its vast television and media advertising. The smaller companies must rely solely on word of mouth, because I have yet to see even an add in a genealogy publication. Take Family Tree Magazine for an example. The same vendors that show up at the conferences advertise in the magazine. How in the world do program developers of programs like the Apple Macintosh programs, Reunion and MacFamilyTree expect to sell any programs? Maybe they don't. When was the last time you saw, say, a Reunion ad? Or an ad for a program like MyBlood? Every once and a while someone will tell me about a program I have never heard of previously and I will try and find it. Some of the programs barely have a Web presence, much less every show up at a genealogy conference. Are they afraid someone might ask them a question? Or worse, afraid they might sell a few programs? If I were a genealogy software developer, the first thing I would do is go around to all the conferences and demo my program to all the genealogists. Who else is in the market for a genealogy program? Next, I would visit as may genealogy societies and associations as I could find and talk to them about my program. Guess what, the three software companies I list do just that. They also have webinars and give away prizes at the conferences. All of which leads me to believe that the other vendors don't really care about genealogy or selling programs. Just some thoughts. But one thing is certain, the genealogists love to have Bruce Buzbee, and staff Gaylon Findlay and staff and Geoff Rasmussen and staff at the conferences. Yeah for them. Thanks for coming. And thanks to all the other vendors that take time to come to the conferences also. It is fun to see the products and fun to talk to the people about their products. Conferences are not at all unique to genealogy, they are a fact of life for almost every sort of interest, avocation or profession in the world, from dog groomers to head of state. A quick Google search for "genealogy conference 2011" brings up a long list of conferences, I quickly counted at least 20 but there are probably more with a lot of local or regional conferences that are not well publicized on the Internet. You could probably attend one conference a week almost all year, if you had the money, the time and the stamina to do so. Just one example, the Czechoslovak Genealogical Society International, a resource for Czech, Slovak, Moravian, Bohemian, Rusyn, and German-Bohemian Genealogy will be held October 26-29, 2011 See CGSI’s 13th Genealogical/Cultural Conference, Sheraton Westport Chalet Hotel, St. Louis, Missouri. This points up a significant fact, no matter what your interest in genealogy, there is likely a society, group, or other organization that is holding a conference about your interest somewhere in the world. OK so you are from Chad, one of the poorest countries of the world. Would you expect to have a genealogical conference? Maybe not, but if you follow the link, you will find a page in WeRelate.org and if you search online, you will find the African American Genealogical Society with a conference. It took me many, many years of doing genealogy to attend my first conference. But now, I regret not having become more involved earlier in my genealogical life. There were a lot of mistakes and problems I faced trying to "go it alone" as you might say. This brings up some significant reasons for attending genealogical conferences, even if you are not a blogger, a writer, or have some kind of genealogical society responsibility. 1. You cannot possibly learn all you need to know about genealogy by yourself. Genealogy is a huge and complex subject and it takes a considerable time to learn even the basics about research, recording information, preserving your data, and many other subjects. You can learn a lot from reading books and online sources, but there is no substitute for attending a class with a real live teacher and genealogical conferences are simply concentrated class sessions. Despite all the "Do genealogy in a day" ads on TV, really researching your family can take considerable time and effort. Conferences provide an encapsulated ready-to-digest format for learning. 2. You need social reinforcement to solve the challenges of genealogy. Few genealogists get any support or encouragement from members of their own family. In some cases they face active opposition. It is important to realize that your personal challenges in doing genealogical research are not unique. Attend a conference gives you the opportunity to interact with a cross-section of fellow genealogists. You cannot discount the importance of the social aspect of conferences. 3. No matter how knowledgeable you are, rank beginner or expert, you need perspective. Conferences give you perspective. You see the variety of interests and topics and the different approaches to those topics and subjects and that gives you a perspective that cannot be obtained in any other way. You may attend a class and think it was a waste of time, but in every case, there is something about the presentation that makes you think of some new way to approach your own research objectives. Sometimes, even now, I get the most out of the "Beginners" classes. 4. Genealogical technology is rapidly changing and unless you are a dedicated blog reader or tech reader, you can learn about new developments. Even though the 2011 BYU Family History and Genealogy Conference was decidedly not technology oriented, there were a number of significant new developments covered. For example, the Daniel Lynch class on Google+. In every conference, either through the presenters or the vendors, you can look through a window into the newest technological developments. If your conference is really limited in scope, you might still see what other genealogists are doing with the technology and talk to them. I noticed that there were almost uniformly Apple MacBook Pro computers in evidence at the BYU Conference, by presenters as well as attendees. This is significant, I am sure that some of the PC only developers cannot fail to notice this also and begin to change over to releasing Mac software. 5. Attending a conference at a remote location gives you the opportunity to travel with a purpose. Many people's lives revolve around their annual or more frequent, vacations. I don't mind a vacation now and then, but when I have time off, I want to make that time productive, usually in genealogy related activities. Attending a local or regional conference in an area of genealogical research interest serves a variety of purposes. It gives you an excuse to visit an area important to your family and at the same time gives you the opportunity to talk with people who are likely knowledgeable about the area you are visiting. Since I deal with Church records frequently, the BYU Conference gave me an opportunity to learn more. I could go on with reasons for attending a conference but I would probably become repetitious. My next conferences will likely be the Mesa Family History Expo and RootsTech 2012 in Salt Lake City, Utah. See you there. Starting out another day at the BYU Family History and Genealogy Conference, the week has passed very quickly. There does not seem to be enough time to get everything done. The first class of the is presented by Merrill White, Manager of Library Patron Services at the Family History Library in Salt Lake City, Utah entitled Family History Centers Portal and a Vision of the Future of Family History Centers. I was most interested to see what was going to happen to Family History Centers. He started with a good explanation of the free resources available at the Family History Centers through the portal. I was not much surprised at some of the comments made by attendees. Even here at the BYU Conference there is an abysmal lack of knowledge of basic resources available by the genealogists. Here are some notes from the presentation: White made an analogy to banking services where there are a lot of online services but you still need to go into the bank. Even though banking has expanded its service options but they still have a person in the form of a teller to do banking services. Just because Family History Centers are now online does not mean they are going anywhere. The first Family History Center was at BYU in 1964 and has now expanded to more than 4500 world wide. FamilySearch.org went online in 1999. Now they have added wikis, forums and online training. (Note: if you do not look at FamilySearch.org regularly, you are missing all of the fabulous records going online every day). I guess one of the main things that I get out of conferences, especially this one, is the huge number of ideas i get for posts and to answer research questions. I benefit not just as a blogger, but also as a genealogist doing my own research and taking care of my own records. There was a good discussion in White's class about the needs of Family History Centers. If you are associated with a Family History Center, this is one of the few times I have seen this type of discussion available. It makes it worth the whole visit to the Conference. Almost all the comments made struck home as issues Family History Centers had in common. Next, I went to a class that had particular interest to me from Ruth Manness on "The Genealogy of Temple Record Keeping." This is interesting to me because of my support at the Mesa Regional Family History Center but also, because of part of what I wrote in The Guide to FamilyHistory Online (see the link to the page above in the menu bar). Manness covered each of the different records in which Temple Ordinance information was preserved at each stage in the history of The Church of Jesus Christ of Latter-day Saints. Well, I have some business to attend to before I leave Utah and so I had to leave the Conference early. Too bad, there were still a couple of classes to go to. See you next time. Back for the afternoon, we didn't really have a break because they inserted a class at noon from Daniel M. Lynch on Google+. Of course, I had to go to that to see what was going on. I found out that I haven't explored the site much yet. I think the genealogists are early adopters of this site, so I will get more into the site. Quickly following Lynch, I went to a class by Alan Mann called, "Getting Informed without Being Overwhelmed: Blogs, Wikis and Social Networking." Now, why would I go to a class on blogs, wikis and social networking? Aren't I about saturated in these? Well, yes. But there is always the possibility that there is something I have overlooked. That has worked well at every conference I have attended. I find the most useful suggestions from classes on subjects I am fairly well acquainted with. Of course, there is always the random class on something I have never heard of, but by and large I am trying to increase my skills in the areas I am most involved with. Alan Mann is always interesting and informative. He explained Blogs in a very useful way. I was happy to see another mention of WeRelate.org and Wiki.familysearch.org. The list of types of sites he covered is impressive, blogs, wikis, forums, and overall RSS feeds. It is the type of class every genealogist needs to take, unless they are already into every one of these areas. One new area he mentioned was the Facebook FamilySearch Research Communities. He explained news and post aggregators in detail, which was very helpful. Next, it was a class called "Conserving Our Personal Collections" by Shellee A. Morehead. This was definitely a class I needed, especially from the opening about having a specific codicil to a will to take care of the stuff. She also starts by mentioning the National Union Catalog of Manuscript Collections (NUCMC) This is the second time I have heard this collection mentioned during the conference, I must get into this catalog. This turns out to be a lecture to me to get back into the huge pile of stuff I have all over the house and in the garage. I don't think anyone will appreciate the tens of thousands of pages of documents and photographs that I have unless it is organized in some way. As Morehead says, stored properly and labeled. "Do not store family history materials in basements, garages, attics or storage units. Oops, I have already violated this rule by having 30 or so boxes of stuff in the garage. 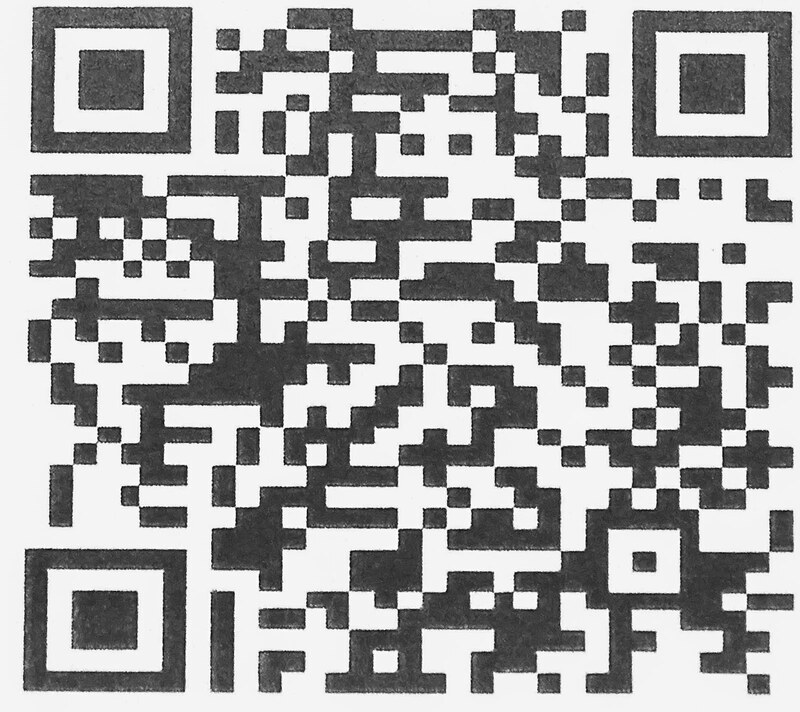 I do have to note that I have over 73,000 scans, so far. I probably have more than that left to do. Put all of these documents into collections? How would that be possible? The last class of the day, Daniel M. Lynch returns with Google Images. He covers some basics of searching; who are we looking for, where were they and when did the event occur. Searching for images and videos involves a careful selection of keywords. Sometimes you can find things that are close but not exactly of the person or event. Very good information about an area I have mostly neglected. Off to the last day of the conference. Here we are back again. Usually, we would be saying goodbye and leaving for home, but this is a four day conference and we are here on the third day. I say we, because I am starting out in the Keynote auditorium, a rather large room with stadium seating. The speaker for the day is Ransom H. Love, the Senior Vice President Strategic Relationships of FamilySearch. I am wondering if the FamilySearch people are honored to speak at these conferences or pass the assignments on to those who can't say no because it is their job. They are all very good speakers and very informative, but there is a difference between someone who presents because it is part of their job and those who present because it is their passion. Just a thought, all of the speakers from FamilySearch at this conference exhibit a huge amount of passion, interest and knowledge of the areas they address. Once again I am invisible in my standard sports shirt and Levi's. One thing I do suggest for conferences is very good walking and standing shoes. I happen to be wearing my hiking boots. They work better than anything else I have found. Back to genealogy. One more thought, my impression is that the FamilySearch people do not work there because they just need a job, almost all (all I know) are very dedicated to genealogy and technology and conversant in both. They are people with a passion whether or not they like to do presentations or speak. I think it is probably hard for those who are not members of The Church of Jesus Christ of Latter-day Saints to understand the depth of interest some members have in genealogy, based not just on an interest in family, but deeply held religious beliefs which I happen to share. Ransom Love's presentation was on "Creating Change Together." However, the syllabus had the title as "Embracing Change Together." I guess we will either create and/or embrace change. I agree with that. Love's presentation first talked about the problems facing records access. If anything, his presentation was passionate, informative and motivational. He indicates that archives all over the world are being shut down or limiting access for lack of funds. Summarizing his presentation: there is a demand for digitizing but not allocated any funding. There is no real long term solution for digital preservation. The expensive part of digitization is the creation of the metadata, all of the background information about the digital images. All this is the challenge due to lack of funds. Technology does not cause change, it enables change. They need a way to capture the images for digitization. Love's discussion included issues regarding records and the opportunities to assist. The first example of a way to assist is the FamilySearch Research Wiki. (Yeah!!). He talked about the release of the 1940 U. S. Census and bringing societies, archives, volunteers and companies together to put the Census online through an Indexing project. He shared a vision of cooperation between worldwide volunteers to be able digitize the world's records. A great presentation. Back to D. Joshua Taylor with "Interactive Genealogy Using Modern Technologies to Present, Record and Share your Research." Taylor has a gift to communicate on technical subjects in a way that helps rather than befuddles. He talks about Cloud Computing and explains some of the issues including privacy. He explained DropBox, which we find to now be an indispensable aid to speed the transfer of files, especially large files. I have been using DropBox for sometime and as is the case with a lot of the presentations, they suggest topics for future blog posts. We used DropBox extensively in writing and editing my new book, The Guide to FamilySearch Online. There is a correlation between those who attend conferences and those who are adopters of technology. Whenever one of the presenters asks for hands on who has used some type of technology, the response is much greater than among the general genealogical population. I enjoyed the presentation on Google Maps and Earth. Dan Lynch is the author of Google Your Family Tree. On another presentation by D. Joshua Taylor, "Interactive Genealogy Using Modern Technologies to Present, Record and Share Your Research." I managed to lose some of my notes in the middle of the presentation, so I will try to reconstruct. I guess I should have used the techniques suggested by Taylor. He talked of the advantages of using online or Cloud storage for information and sharing. He talked about DropBox, which we found to be indispensable in writing and editing my new book, The Guide to FamilySearch Online. He then moved on to Google Docs. I have used this program but after Taylor's presentation, will probably go back and review it again. It is the case that listening to these presentations has the effect of suggesting topics for future blog posts and also for learning and investigation. So far I have quite a list of things to look at in depth. How about sending out a Google Docs invitation to family members to add information for a family reunion? This was a good suggestion from Taylor. He then moved on to Zoho. I am not familiar with this program, so it was all new to me. It appears to be similar to Google Docs. Taylor moved on talking about Wiki technology for creating interactive documents with tracking for changes, revisions and discussion about the document. Wikis are good for sharing data. He reviews WeRelate.org (Yeah), Family Tree Portal and WikiTree. From the questions asked during the presentation, it is apparent that we have a long way to go before wikis are well used and well known. He mentions instant communication on computers including chat, Trillan, Skype and others. There is now a way to ancestor's profiles on FaceBook. What about ancestor's FaceBook and they could be friends with other ancestors? Facebook pages for research repositories, family associations, research projects, organizations and groups. Google+ and a lot of other things including blogging. This was a whirlwind tour of the online world for genealogy. YouTube can be a way to present your research to others. A very interesting and productive morning. I got a lot of ideas. As of today, you can purchase a copy of The Guide to FamilySearch Online from the BYU Book Store. Here is the link directly to the book in the Book Store. Please use the link on the tab at the top of the page of this Blog to read more about The Guide. Please feel free to pass this link along to others. The more interested you are in genealogy, the more you will enjoy a genealogical conference. For the novice, it can be difficult to digest all of the information offered. For the more experienced, it can be a challenge to find classes that don't cover the same thing you heard in the last conference. Except for the technology aspects, genealogy is not a rapidly changing field. Birth records are birth records and that is not going to change very soon. But what a conference can do for you is to remind you of work undone, offer new ways of doing things, open doors to ideas and concepts you never knew or had long forgotten and take you to places you could not imagine. Wednesday afternoon's presentations began, for me, with a presentation by Barry Ewell on photographic editing called, "Photo Editing Software --Tricks, Tips and Applications for Genealogical Novice to Expert." The presentation was based on Photoshop Elements. Ewell provided a perceptive and valuable insight into the basic tools needed to do photo editing with his focus on Photoshop Elements. On to a class with The Ancestry Insider (AI) on "Life after the IGI." If you are not aware, the IGI is the International Genealogical Index. It was primarily a database for the members of The Church of Jesus Christ of Latter-day Saints to verify and keep track of the ordinances done in the Church's Temples. The main idea was to limit duplication of ordinance work. Originally, the IGI was the Computer File Index, a compilation of the information on the Temple Index Bureau 3 x 5 cards showing the ordinance work that had been done. The IGI also included extracted (copied from original sources) records and user submitted information as the members of the Church submitted names for ordinance work. Ultimately, the IGI was online and searchable in the older FamilySearch.org or Classic.FamilySearch.org website. If you go to the newer website, there is a link to the older site. There was originally an effort made to avoid duplication by rejecting any extracted records that were already duplicated in the file. The IGI did not contain any source citations, but there was a way to follow the batch numbers to find the input source record. The AI went on to explain that the IGI was not designed for genealogical research, so the user submitted information is now disbursed into New.FamilySearch.org, the extracted records were generally moved into the Historical Record Collections on FamilySearch.org. So the primary source extracted records are still available in the Historical Record Collections with the exception of the records originally eliminated from the IGI because of duplication. The sum of all this was that the IGI is going away with the Classic FamilySearch.org website. The older site will likely be gone at some unspecified time in the future. (Although I have heard estimates that the old site will disappear sometime by the end of 2011. But don't be surprised if the site is still around in 2012). The day ended with a presentation by D. Joshua Taylor, MA, MLS called "Beyond Keyword Searching: Finding Materials in Online Library Catalogs." I decided to come to this class because of his outstanding presentation in the Keynote opening. Taylor gave some very interesting insights into the way libraries handle their catalogs and how they work. He made some very useful suggestions, such as searching in the local public library where your ancestors resided. A good suggestion. Also, search your ancestor's state library. Hmm. This sounds like something I should have written about myself. He even advocates searching your ancestor's national library. Taylor also suggested investigating the library's collection before doing an extensive search to know what to expect is available in the library. Joshua Taylor said, "It's about knowing what resources are available." That statement about sums it up. He goes on to college and university libraries. Pretty soon the information becomes somewhat overwhelming, even for a seasoned genealogist. It is apparent I have barely scratched the surface in research in library. This is a subject that I need to pursue. Paul Allen, the founder of Ancestry.com keeps coming up as potential contact on Google+. First of all, I have never met Mr. Allen, nor have I ever had any contact, that I know of, with Mr. Allen. I also note that Mr. Allen already has, as of today 27 July 2011, 20,222 people with him in their circles. While he "only" has 2719 people in his circle. I am quite sure that if I am never added to Mr. Allen's circles in one way or another, that I will not be missed. This points up an interesting aspect of the so-called social networking. In some cases it is neither social nor networking. I use Mr. Allen as an example, because he is suggested as a contact almost every time I sign on to Google+. Google+ seems to have been almost immediately and heavily adopted by the genealogical community. Although my numbers pale in comparison to Mr. Allen's, I already have many more people than I had on Facebook after more than a year. But is Google+ doing something not available or done before the genealogical community? I have my doubts but I am waiting to see how it develops. The comments I hear indicate that the main reason genealogists have turned to Google+ rather than Facebook is the lack of games and ads. But think about this, I have yet to meet anyone who has given up their Facebook account for Google+. I have to admit that I am not spending much time on Google+. I spend almost no time on Facebook and do not expect to change my avoidance of the trivia on that venue in the near or distant future. I haven't seen any reason to lurk around on Google+ either. I will use both venues for exchanging genealogical information and updates to my blog posts and other items I feel might be of interest. But I am not interested in relating the day's experiences to the world. Back to the BYU Conference Center on Wednesday. This is a four day conference, most are two or at most, three days. I am always reminded that I blend right in to the attendees at genealogy conferences, which an under 40 year old would not do. Except for a few Missionaries and the presenters, the dress is decidedly casual. The Key-note speaker for the day is D. Joshua Taylor, MA, MLS. He is Vice President of Adminsitration for the Federation of Genealogical Societies and Director of Education and Programs at the New England History and Genealogical Society (NEHGS). He had some trouble getting to the Conference due to airplane cancellations, but seems ready to go today. He spoke about the Generations of Genealogy, a summary of the history and off into the future. With his enthusiasm and knowledge it is no wonder that he is a popular speaker and teacher at genealogy conferences. Some of the topics covered by Mr. Taylor, included the impact of the Internet and social networking. I was pleased to see his mention of WeRelate.org. I believe it was the first time the site had been mentioned, to my knowledge. He recognized that Bloggers were adding a new dimension to genealogy. Interestingly, he commented about the immediate reporting by Bloggers. Yes, I am sitting here listing to his speech and taking notes in this post. Next he mentioned my favorite website, Wiki.familysearch.org. I enjoyed hearing about the production of the Ashley Judd episode of Who Do You Think You Are and its impact on the NEHGS. He also spoke about the need to expose more of the population to genealogy. WDYTYA is more popular outside of the US than inside, which is not surprising since the program concept originated in England. He raises a significant issue, attaching identifying source info to each image so that when he attaches the images the source information already is available for the genealogy program. (I need to write more about this). His example showed a file in the Apple Macintosh program Reunion. Very good! I like to see Apple coming into the main stream of genealogy. "Genealogy will change because the tools of genealogy will change with it." A good quote from D. Joshua Taylor and a very amazing presentation. I think the most provocative issues presented by Taylor was the discussion of the new generation of young people and their interest in genealogy. It is apparent that the concept of research, source citations, and many other issues will be entirely lost on these new adherents to genealogy. I don't think most of us are prepared for the new genealogy. We haven't even gotten accustomed the the current version of genealogy. Taylor's outline of the changing definition of genealogy: Interactive Results, Individuals and Families, Digitally Represented, Global Resources, Require Methodology, Undefined by Age, Gender, or Nationality. A very good presentation! I managed to get involved talking to people and totally missed the next hour of classes, but that is what Conferences are all about. I did get to Fran Jensen's presentation on success stories using the Wiki. If you read this blog, you know I am a Wiki fanatic, so I had to go to all of the classes on the Wiki and/or note every reference to the Wiki. Jensen's presentation was entitled, "FamilySearch Wiki Case Studies." This is a very effective way to present the advantages of using the Wiki.FamilySearch.org website to initiate research. Conferences are a great place to network. If using the term networking makes you roll your eyes, perhaps you can think of networking as making friends and keeping up friendships. If you are a blogger, networking means talking to all the people who read your posts or want you to talk about their product. This is the first conference I have attended where I seem to have a tiny bit of name recognition. So what is new? The BYU Conference is for genealogy, not a place to announce new products or talk about technology. The Conference is all about finding your ancestors. With a syllabus of over 500 pages, it would be virtually impossible for you not to find something that would help your own personal research. The afternoon sessions started with a class called "Your Legally Involved Ancestor Left a Message for You, Courtesy of the Court" from Stephen Ehat, a Utah attorney, specializing in researching legal records. This is extremely interesting and helpful information. Even though I am an attorney, I choose this class because I can always learn something. Quite frankly, I have done little genealogical research in legal documents, although I have recognized the value of the documents for a long time. I found the class to be very interesting and I learned something about doing searches that I will pass on in the future. On to "Tips and Techniques for searching Ancestry.com" from Michelle Ercanbrack. The BYU Conference Center has some large conference rooms with stadium seating. I have recently taught classes on Ancestry.com, but who knows, I might learn more. The class turned out to be very fundamental, but guess what? I needed the fundamentals. I did find out that the new 2012 version of Family Tree Maker is supposed to finally synchronize with the online Family Trees! Synchronization seems to be the buzz word. I actually got more information from talking to the people at the conference than I did in the classes. You might find out more in the classes. But I need to go to the classes that deal with my own family lines. The last hour, I went to a class on Welsh research. Everything in the class was applicable to all sorts of research not just in Wales. The class was "Wales Research Peculiarities" by Judy Jones. I should have gone to the classes earlier in the day. I have a few initial observations. First of all, attending a BYU Conference is a lot different than attending any other conference in a number of ways. It is not as commercial as other conferences, there are no featured Bloggers, no industry keynote speakers, and the conference is decidedly about genealogy, not much high tech here in Provo at this conference. The BYU Conference has been going for 43 years. In the opening there were at least two people who had attended the first conference. BYU is a wonderful place for a conference. The summer weather is great. The accommodations are very good and the classes at the conference are, for the most part, excellent. You do have to remember that this is BYU, Brigham Young University. Contrary to most secular conferences, this one is decidedly religiously oriented. If you are at all familiar with both The Church of Jesus Christ of Latter-day Saints and its doctrines, you will feel completely comfortable coming to this conference. Since I am a missionary at the Mesa Regional Family History Center, it feels to me like I am coming home. I love BYU, even though I actually went to the University of Utah. All seven of my children and their spouses all attended BYU. I assume that most of my grandchildren will also. It is also a commentary that in the first class I attended, by The Ancestry Insider, more than half of the class were volunteers at Family History Centers. Bear in mind, that everyone else will feel welcome. BYU is much more inclusive than exclusive and you should not hesitate to come, regardless of your religious persuasion. By the way, the view from some of the classes out over Utah Valley is spectacular. One note, BYU is always in a state of construction. So pay attention to the current online map of the campus because the parking lot you used or the road you turned on previously may now be a new building. BYU has a superb Family History Library, not as large as the main library in Salt Lake City, but still very useful. The library is located in the building for the main BYU Harold B. Lee Library. The syllabus for this conference is about the size of a phone book for a major city and all the suburbs. (You do remember phone books, don't you?) Really, it is about 500 pages long. I figure all the subjects for all my blog posts are set for the whole next year. I mentioned that I had a class from The Ancestry Insider. It was a very informative class covering some of the free online helps, including wikis, FamilySearch.org and forums. It is too bad that the same class could not be given as an introduction to everyone attending the conference and, in fact, every one who starts out to do genealogy. This is just the first of my posts from the Conference, so I hope to have time to write some more this week. 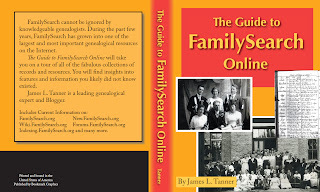 I have been working on getting my book, The Guide to FamilySearch Online, finished and published. I hope to have the book out for purchase by the end of the week. How much data at what cost? The integrated RAMAC 305 system was about two refrigerators in width and not quite as tall, and it literally weighed a ton. Its hard drive, the RAMAC 350, had 50 24-inch platters in a stack inside the unit, in an assembly that spun at 1200 revolutions per minute. The unit used two magnetic recording heads. The RAMAC 350 could hold 5MB--about the storage that today is needed for one 5-minute MP3 encoded at 128 kilobits per second. Although the RAMAC shares only some characteristics with today's hard drives, they are important ones, says Hoagland. "The characteristics of all disk drives that still use ideas initiated on the RAMAC include: closely spaced disks or platters with magnetic film surfaces; positioning of read/write heads to service a large number of tracks; and and the use of head assemblies that create a small but finite separation between head and disk to avoid wear or damage to either one." Switching into high gear, a recent article from Cisco Systems announced the Cisco CRS-3 Carrier Routing System. This new system for transmitting data across the Internet claims speeds up to "322 Terabits per second, which enables the entire printed collection of the Library of Congress to be downloaded in just over one second; every man, woman and child in China to make a video call, simultaneously; and every motion picture ever created to be streamed in less than four minutes." Pricing for the new system starts at $90,000. With all of this fantastic speed, what about the venerable hard drive? Where are we today in the way of cost and storage capacity? This is a relatively difficult question to answer. The reason is that new drives are introduced regularly with larger capacities and lower prices. Only recently, 1 TB (1000 GB) drives were being introduced. Now (July, 2011), within the past six months, 4 TB drives are now common. The price for a 4 TB drive has dropped to just over $200. You will recall that that the first hard drive cost about $10,000 per megabyte, at $250 for 4 TBs the cost per megabyte is about $250 divided by 4,000,000 or .0000625 cents per megabyte! However, despite all this advancement in storage, I still talk to genealogists regularly who do not have any backup storage method at all. That is zero bytes of external storage. In fact in the past couple of weeks, I have been working on retrieving data from floppy disks that date back to the 1980s and hold from about 1 MB to 2.88 MB of data. (There were some higher density Laser Servo disks that held up to 200 MB of data but I have never seen a drive mechanism for them). See Wikipedia:Floppy Disk. Why, with the amazing advances in technology do we have a significant number of genealogists that still rely on floppy disks? One thing I find regularly is that they just have no idea of the cost of either new computers or new hard disk drives. They have absolutely no interest in hardware or software and have never bothered to upgrade their computer systems. In fact, a very high percentage of the genealogists I work with and help almost every day, still compress their genealogy data files! They do this because several of the commonly used and popular programs still have "backup" options to compress the files. So how much data storage space does a large genealogy file take? I have a file with over 18,000 names and a lot of sources etc. My largest file is about 33 MB is size. That is megabytes not gigabytes. Remember, a 4 TB drive is 4,000,000 megabytes. My file would take up less than 1/1000 of a percent of the space on the drive. I could have 100,000 files of that size on one hard drive and still have room left over. So if the large drives are inexpensive, how cheap is an adequate storage device for my largest file? I would need about 33 MBs. Well, I can't buy a drive that small. A common 8 GB (not megabyte) flash drive costs about $7.00. That is 8,000 MBs. 2 GB flash drives are under $5.00 which is sort of the minimal price anything can be packaged and sold. So why don't the genealogists spend $5 and back up their genealogy files? Simple. They don't have computers with USB ports. Maybe next time I'll do a little comparison shopping for computers. (Note: If any of you have been reading my blog for a while, you know I am number challenged. So, if you find my math is wrong, just drop me a comment and make the correction). The title is a quote from Yogi Berra and is eminently applicable to genealogy. Yogi Berra. BrainyQuote.com, Xplore Inc, 2011. http://www.brainyquote.com/quotes/authors/y/yogi_berra_3.html, accessed July 25, 2011. And this is just a start. I am sure you can add more. You cannot be content with just finding a record and letting it drop. Every record, from newspaper accounts to death records, suggests further places to research. Do not assume that the search would be unproductive. Every search is productive even if the results are negative. But if the results are negative, you always need to ask the question as to why the individual or family did not appear in the record. The answer may be as simple as a misspelled name or as complicated as an unrecorded death. For example, failing to find an individual in a particular census year's records may suggest a lot of different things, including that the family moved out of the jurisdiction. This issue becomes especially interesting when you find the family in both the preceding and succeeding censuses. Finding the individual with a badly misspelled name can lead you look for more spellings that may uncover additional records. 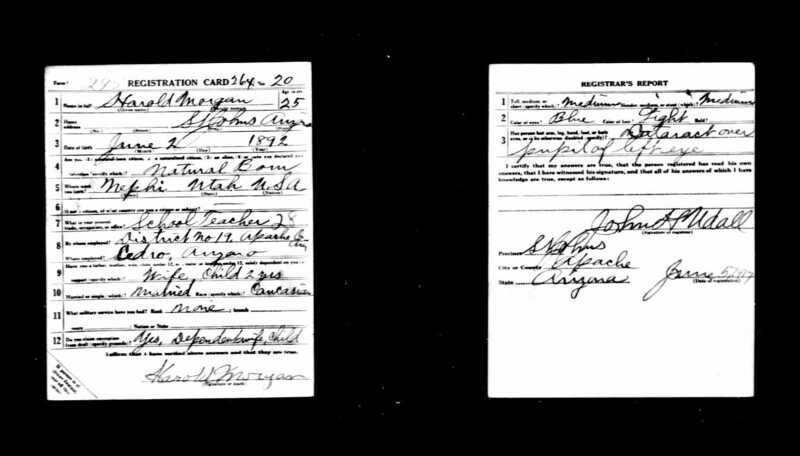 Even finding a name listed in an index of death records opens a whole world of possibilities. I have found as I help people look, that they usually run out of patience long before they run out of sources and places to look. The successful researcher not only look hard at their sources, but keep looking even after failure after failure to find any mention of the target family or individual. Keep Observing. 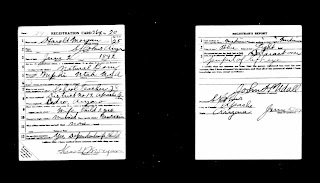 By the way, a World War I Draft Registration Form was the key to finding more than four generations of a Spanish speaking family in California. I would normally link my reference to his post directly to the post itself, but Mr. Hait requests the above citation. Anyway, his comments got me thinking. Arizona is one state in the United States that does not have an unauthorized practice of law statute in effect. This essentially means that in Arizona, anyone could practice law if they chose to do so. I don't think I have to argue that law is a profession. Normally, to practice law in any jurisdiction, you have to attend some kind of law school (usually accredited) and graduate. Then take an extensive examination administered by the local State Bar Association and then after passing the exam, be admitted to practice law by the Supreme Court of the State. There are a few variations on this theme, but most jurisdictions have an exam and regulate the practice of law. Now, because Arizona doesn't have an unauthorized practice of law statute, does that really mean anyone can practice law? Well, no. Because the State Supreme Court regulates the courts, they make rules that only allow admitted, exam passing, State Bar members to practice law in the courts. So what else is there? You can become a document preparer, but guess what, even that "profession" is regulated by the Arizona Supreme Court. I might mention that many of the same types of requirements apply to everything from dog groomers to accountants in Arizona. Professions are regulated. Why? Of course, for the protection of the public from dishonest, poorly qualified and shoddy non-professionals. Does that really work? To some extent. For example, in Arizona if you are not a registered contractor (builder) you cannot bring a lawsuit to enforce a claim for payment for services. So, if you do some construction work for someone and you are not a registered contractor, you cannot legally collect the money due you for your work! Professions, such as law, were not always regulated by local governments. However, the idea of guilds and labor organizations have an ancient history. Professions have their academic counterpart. You cannot get a job as a professor for a college or university, usually, without some academic degree. A full professorship almost always requires a doctorate degree or more. The academic professionals impose their own requirements on "membership" in their exclusive profession. If you have ever received a Ph.D or equivalent, you know how hard the academic community can make entrance into their profession. So what does all this have to do with genealogy? There are those who wish to make genealogy an academic profession with regulated credentials. They make the requirements as difficult as practically possible, so that the public can be assured that those who have the professional designation have passed all of the requisite requirements. Then there are those who would argue restrictiung the "practice of genealogy" only to those who are "qualified." Thereby making genealogy a real profession. Professional genealogists see this idea of restricting the "profession" as protecting the public from the unauthorized practice of genealogy, just like the Arizona Supreme Court views the practice of law. I take a much more liberal position. I do not think that genealogy should be restricted either by jurisdictional fiat such as the Arizona State Bar and Arizona Supreme Court, nor do I think it should become an exclusive club of academic professionals. I have pointed out in the past that there are virtually no university level courses with only one or two exceptions, producing a qualified degree in genealogy. Why is this the case? As it is, genealogy is a very democratic and inclusive persuasion. I can legitimately call myself a genealogist even if I never attended a university at all. Some of the best researchers I know are not academically qualified. The argument about citation form is basically a secondary argument for "professionalism" in the world of genealogy. Do we want genealogy to become like the legal profession? Absolutely exclusive? I argue for inclusiveness and charity in the field, recognizing the vast majority of practitioners that have no formal training or any desire to obtain any. In almost any human activity in the world today, there are some adherents that rise to the professional level. I do believe that genealogy needs professionals. I also believe that genealogy needs standards. But I do believe that we can be inclusive and not lose our own professional level standards. As a final note. Do I think it is necessary to use "proper" citation form in my blog posts? Think before you give your own opinion. How much formality do you want to live with? Do you have a personal copy of Mills' book? (By the way, the above citation is in Turabian form, because I happen to like Turabian). The 43rd annual BYU Conference on Family History and Genealogy will offer more than 100 classes, allowing participants to gain new skills and helpful information. Class topics include New FamilySearch, FamilySearch, Using Computers, Internet and Technology, Computer Tools Hands–on–Workshop, Church Records Worldwide, Writing Family Histories, Research Methodologies, United States Research, British Research, International Research, Scandinavian and German Research. The conference will be in the BYU Conference Center. As usual, there is more than one class I would like to attend at a given hour. The conference goes on for four days, which is more than the usual conference but helps to cover more topics and gives more time to interact with the attendees. Since I write for FamilySearch's TechTips, work extensively with the FamilySearch Wiki and have a lot of other project going on with FamilySearch, I am hoping I can get some additional work done during the conference. I will also try to report on some of the classes and any new announcements at the Conference. 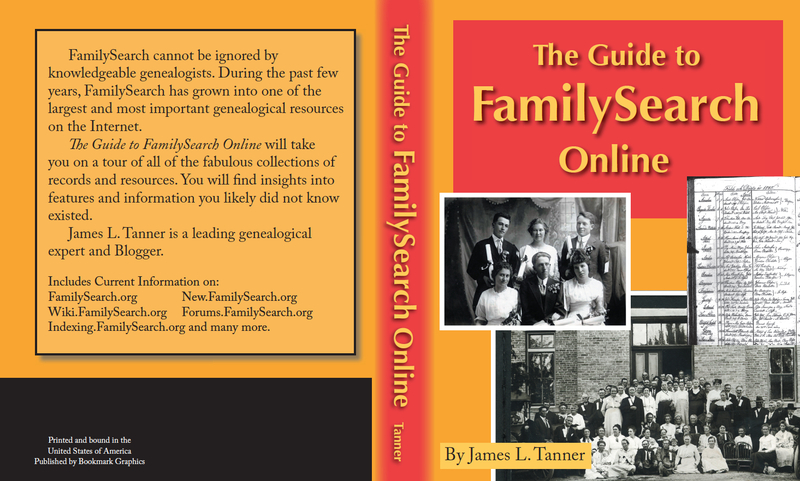 As I have previously announced, I will be publishing The Guide to FamilySearch Online. I hope to have the final publication details worked out with Y Mountain Press during the week and be able to provide a link to the BYU Bookstore where the paper copy of the book will be available. I will also be working with an E-book publisher during the conference to work out the details of having the book online. One thing is certain, I will enjoy the cooler weather in Utah Valley as a respite from the summer heat in Mesa. One of the benefits of having huge numbers of digitized document online is that digitized copies of the documents can be attached to individuals and families in our local genealogical database programs. But there may be a problem in thinking that just because a document is digitized, it is somehow preserved. A Blog appearing on the Library of Congress website, The Signal, Digital Preservation, has a recent post "Digitization is Different than Digital Preservation: Help Prevent Digital Orphans!" The author, Kistin Snawder, a Junior Fellow at the National Digital Information Infrastructure and Preservation Program (NDIIPP) at the Library of Congress, makes the point that "While scanning can be a prelude to digital preservation, the two are distinct." I think the point is well taken, simply because you have a "digital" copy of a document does not mean that the document or the digital copy is somehow preserved. If you have custody of the original paper document, you still have the responsibility for the preservation of that document. Unless the documents were created in digital format, steps should be taken to preserve the original source as long as possible. Likewise, failing to take steps to preserve the integrity of the digital document obviates the effort made to digitize the original in the first place. Preserving a digital file requires a number of steps, all of which are just as crucial as the physical care required for the preservation of the physical documents and artifacts. Both of these subjects are extensively covered online. I suggest starting with the Library of Congress' Preservation Directorate as a jumping off place for learning about both physical and digital preservation. For digital preservation, I suggest starting with the Northeast Document Conservation Center, "Digital Technology Made Simpler." In the genealogical community we have a broad spectrum of attitudes towards citations. At one end, we have the vast majority of researchers comprised of casual and/or lightly involved adherents who are unaware of either the need for citations or have any idea how to add a citation to their pile of papers or files on Personal Ancestral File (PAF). At the exact opposite end of the world of genealogy, we have the super-professionals, journal editors, former or present academics, or similar individuals with a compulsion not only to cite everything they say, or write, or do but are compelled to do so in a formal "acceptable" manner. The controversy over the manner of citing records, sources, repositories and everything else is entirely lost on the the greatest majority of the genealogical world. In any given week, I would guess we have a couple of hundred patrons at the Mesa Regional Family History Center. Out of those, say, 200 patrons, I am just guessing but I would think that less than a dozen have ever attended a genealogical conference, ever read a book or magazine about genealogy, attended a class on citing sources or even heard of the subject. I put myself firmly at the academic end of the spectrum. As an attorney, I have written a number of publications for continuing education, thousands of briefs and motions, thousands of letters, almost all of which have had some kind of source reference. Some people breathe, I cite sources. How does that translate over to genealogy? Not really very well, thank you. My current working file has 427 master sources. I could easily triple or quadruple that number. I am much better at gathering source material than I am at writing it all down and organizing it. I probably have over 30,000 scanned documents. 1. We should be fully committed to the idea of citing sources. Most (all?) of the popular genealogical database programs have adequate to very good citation provisions. There is no real excuse for not having a citation to a source if you are using one of the newer programs. However, even PAF has an adequate source citation method. 2. When we write, speak or teach, we should always include a commercial announcement about citing your sources. 3. We should try hard to consistently cite sources in our own materials. 4. We should be charitable about others' lack of source citations and remember that not everyone even knows that citations exist. 5. When we see a citation that is poorly written, contrary to our own version of a citation or otherwise bad, we simply ignore it and go on with our lives. 6. If we are in a position of deciding on the format and/or content of citations for a publication, online post or wiki or whatever, we try to be as liberal and inclusive as possible without undermining the integrity of the publication. 7. Let's try not to argue too much about colons, commas, spacing and capitalization. The nature of a repository is an issue or question originally raised by the Ancestry Insider. He said, "Repository. No repository need be given for publications. For printed publications, the only time I would specify the repository is if the publication wasn’t listed in WorldCat.org. That’s the only time. Uh… I guess the other only time would be if I were quoting an annotation someone had written into a particular published book. (Penciled corrections and additions to family histories used to be an acceptable practice.)" See FamilySearch.org SSDI Citation Review. Although he is probably extremely tired of my responses, he also said, "Listing the Family History Library as a repository is not only unnecessary, it is untrue." See the same post. The Federal Depository Library Program (FDLP) was established by Congress to ensure that the American public has access to its Government's information. Since 1813, depository libraries have safeguarded the public's right to know by collecting, organizing, maintaining, preserving, and assisting users with information from the Federal Government. The FDLP provides Government information at no cost to designated depository libraries throughout the country and territories. These depository libraries, in turn, provide local, no-fee access to Government information in an impartial environment with professional assistance. So if I cite a government document, where is the repository? Or depository? Or whatever? Isn't each library across the country a separate repository? Isn't a citation to any one of them sufficient even though they are all just copies of copies of copies? Note the two words "repository" and "depository." Let's see if there is any real difference between these two terms. A "repository" is defined as a place, building, or receptacle where things are or may be stored. So this is a general term and not very useful for the basis of an argument over what is and is not a repository. So, is there a more limited or special use of the term "repository" that applies only to genealogy? Well, we can jump out to the extensive discussion on WeRelate.org's Portal talk:Repository If you are really interested in this subject you can read the whole long discussion about whether Internment.net is a repository or a source. The conclusion: it is both a repository and a source. The discussion on WeRelate.org goes on to conclude that "A genealogical repository is simply a place in which genealogical sources are kept and used. There are many difference repositories for printed sources: it is essential to understand and use each type of repository." Later on the same page in WeRelate.org, the participants cite About.com's article, "Cite Your Genealogy Sources." This article uses the term repository to indicate where you found the source. Under all of these definitions, the Family History Library most certainly would be a repository. Now, is it a depository? The definition: A place where things are stored. OK, so this is even more vague than the definition for repository. Trying to argue that something is or is not a depository or a repository is somewhat like straining at a gnat. The terms are both broad enough to include my closet much less the National Archives, the Library of Congress, the Mesa Public Library, the Family History Library and most of the millions of rented storage units across America. Here is my point so, hopefully, it will not be missed. The purpose of a citation is to give anyone reading it a map or explanation as to where to go to find the document used or cited. Period. That's all folks. How you say it, what format it takes and all the rest is not relevant if the content is sufficient for me to go find where you got your information. If you want to run your own genealogical publication (journal, newsletter, blog, etc.) and require anyone who contributes to do things your way, that is your privilege. If I don't want to jump through your hoops, that is my privilege. Notwithstanding all that I have said, I still think everyone should tell where they got their stuff. Are FamilySearch Citations an Issue? In response to my post "Citations, the SSDI and the FamilySearch Wiki" I got a comment from the Ancestry Insider (AI) that said, "I need to improve my writing skills. Each of several times you state my point, you are do so incorrectly." Hmm. So, I went back and re-read his post, "FamilySearch.org SSDI Citation Review" to see what I had missed. OK, so did I miss his point? It seems to me that the main point of the post is that FamilySearch (among others) is derelict in its implied duty to provide adequate source citations or a place to put them. First, I questioned whether FamilySearch or Ancestry.com or any other genealogical organization has some kind of duty to provide "citations to their records." My response addressed the issue raised by the AI extending the criticism to the citation form of the entries in the FamilySearch Research Wiki. I pointed out that the Wiki is not necessarily a good example since it involves a cooperative user driven format. But the fundamental questions and issues I get from the AI's post involves citations in general. First I disagree that FamilySearch or any other genealogical organization has any duty that extends to citations of authority. I do agree that citations are not a neutral issue. Ideally, I would like to be able to find the source of the information, but I really, deep down, in my heart of hearts, could absolutely care less about the format of the citation. All I really care about is finding the source and if you read my posts more than once, you probably already know that I have typos and an occasional wrong word because of relying on spell checkers. I also realize that I may have just given several journal editors a heart attack. Now that I have taken the position that the format of citations don't matter to me, you can probably understand why I could care less about whether you use MLA, Turabian, Chicago or whatever. My viewpoint on citations in the Wiki are even more liberal, I will not correct a citation unless it is wrong, I usually do not spend my time correcting form. Do I think citations are necessary? Yes, since I will summarily conclude that the researcher who fails to cite sources didn't have any. I cannot count the times I wish someone would have provided a clue to where the information came from other than personal records in the possession of someone long dead. By the way, I think the AI has a valid point about FamilySearch's lack of citations to its own products. But just because the citations are missing or not adequately to AI's standard, that doesn't mean that FamilySearch has some kind of duty to go back and correct over a 100 years of genealogical research. Even if all of the examples given by the AI are true (some are not quite accurate) FamilySearch isn't all that bad. Citing sources is a relatively novel concept to genealogists. You can't validly criticize old printed family group sheets because that was the state-of-the-art at the time. Many citation minded researchers simply turned the sheets over and put all the citations on the back. I too have criticized New.FamilySearch.org and other FamilySearch programs for their lack of accommodation to sources, but that does not mean that they have some duty to provide the citations. I only ask for the space and opportunity to add my own citations. As to whether or not the concept of a repository has validity when it comes to online digitized images, that is another post. I think the AI has some interesting thoughts and I certainly appreciate the effort and thought that goes into his posts. I'll think about the repository/source issue and see if something comes out of my head. I don't think I would have known that the world was sadly lacking in social networking sites. I realized that Facebook had virtually every computer literate person on the planet signed up to a constant stream of "twaddle" as one commentator characterized it. So I guess I was surprised that Google felt compelled to start yet another attempt at knocking Facebook out of first position as the ultimate arbiter of personal messages. As genealogists, we were not lacking in social outlets either. We are mostly on Facebook and if that were too general, we could go on GenealogyWise.com for purely genealogical experience. I mostly work all the time and I find it difficult to get real work done and be self promotional all the time. I did break down and get some business cards recently, but I feel tired every time I think about going on Linkedin.com and updating my profile. I guess I am in profile overload. I have a Google profile, a FamilySearch Research Wiki profile, a FamilySearch Forums profile, a 360Cities.net profile, a Linkedin.com profile and on and on and on. I did a Google search on myself and found 40,200 returns. I guess you might say I am pretty much saturated online. By the way, there is even an obituary for James L. Tanner of Mesa, Arizona online. The last time I checked this was not me. So why do I need yet another way to get junk email? I think I was one of the very early online people. One time we had to dump an email account because I was getting literally hundreds of spam emails a day and that was back when we did not have adequate filters. Well, in the spirit of jumping into practically every new technology available, I got an invitation from one of my sons to join Google+. I would guess, since he lives on the computer, that he was on Google+ almost as soon as it was possible to do so. It was interesting to see that Google+ immediately suggested over 300 contacts. Within minutes I was connected to more people than I have had on my Facebook account after five months. In two days I already had almost as many Google+ contacts as I had on Facebook. What I liked about Google+ was not only how easy it was to add people, but how much easier it was to categorize them into "Circles." I can't seem to find out how to do some things like link to my posts and etc. Don't expect me to change my habits and start narrating my days online. I have way too much to do otherwise. Overall, I like my first impressions of Google+. Feel free to add me to your circles. During the past few months, with permission from FamilySearch, I have been writing a guide to the online websites sponsored by FamilySearch. The sites include, FamilySearch.org, New.FamilySearch.org, Wiki.FamilySearch.org, Indexing.FamilySearch.org, Forums.FamilySearch.org and others. The book has 367 pages and will be published by Bookmark Graphics, printed by Y Mountain Press and sold, online, through the BYU Bookstore. As soon as the book is available, I will be posting a direct link to where it can be purchased. The price will be $39.95. Neither FamilySearch nor The Church of Jesus Christ of Latter-day Saints are in any way responsible for the content of the book. Writing the book has been an interesting undertaking. I have already started the next book and have two more planned in the future. I am sure I will have more ideas by the time the next three are finished. 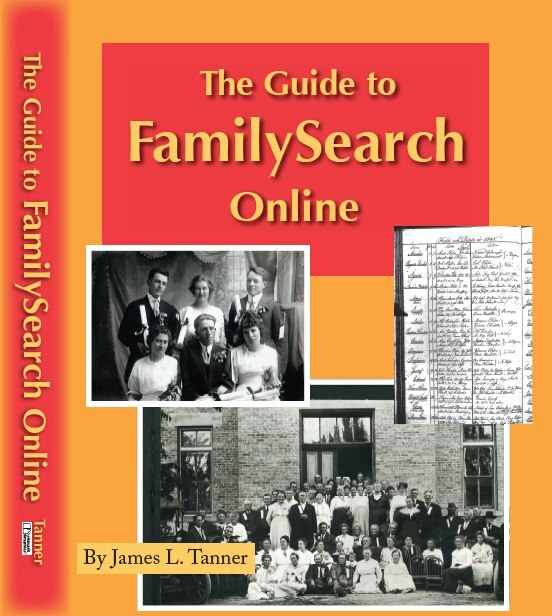 One of the challenges of writing such a book is that FamilySearch is a moving target. I had to revise the entire book when they changed some of the basic ways the websites worked. Y Mountain Press is an "on demand" printer, so any future revisions of the book can be made without having a formal re-printing. Likewise, anyone purchasing the book can be assured that the information contained in the book about the websites is as up-to-date as possible in a print edition book. Watch for the announcement of the book's availability. It should be ready to order in the next week or so. I could not resist commenting on The Ancestry Insider's (AI) post, "FamilySearch.org SSDI Citation Review." I especially would like to address his comment that, "I expect more from a professional genealogist than from a hobbyist. In this review I’m going to nitpick details that you don’t need to worry about. Ancestry.com and FamilySearch have a responsibility to create your citations. That’s a major reason why I am not pulling any punches." Do Ancestry.com and FamilySearch have some innate duty to provide a "correct" citation for anything in the Historical Record Collections, much less for the SSDI? Who decides what is "correct?" Apparently, the issue from the AI's point of view is that the citations provided by the FamilySearch Research Wiki (the Wiki) volunteers don't match those he proposed for Ancestry.com. It seems that there is a underlying issue here characterizing the Wiki as somehow directly created and controlled by FamilySearch. This is not quite the way it works. I don't see anything in there about FamilySearch exercising control over the method of citing sources, even from the Historical Record Collections. In fact, the FamilySearch Wiki:Policies page would lead me to believe that the content of the Wiki, as long as it did not violate the Conditions of Use, was pretty much up to the contributors. Jumping ahead to my conclusion, if the AI wants to have the citations in a certain format, he is free to make any changes he wants to the Wiki. Otherwise, it is going to be pretty hard to convince the other thousands of contributors to follow his guidelines. Being as the Wiki is about as close to a pure democracy as you can get when it comes to content, he has a long hard row to hoe. When you get right down to it, right now, there are only about 22 people, almost all totally volunteers who are Wiki Maintenance Participants. How about joining the group? Assuming that there is "someone in charge" of the Wiki is one of the more common issues we face in educating people about how a wiki works. It sometimes drives people crazy that no one is in charge. In fact, the issue of citations has been a topic of discussion in the Wiki Forums in eleven different threads dating back to January of 2010. A working reference citation proposal was proposed in a thread dating back to April, 2011. I started the topic on the connections between the Historical Record Collections and the the Wiki also back in April. I don't recall hearing from the AI on this subject before. We have been working towards a consensus and anyone is invited to participate. Mills, Elizabeth Shown. Evidence Explained: Citing History Sources from Artifacts to Cyberspace. Baltimore, Md: Genealogical Pub. Co, 2007. Pages 625-626. Also, by the way, the citations on the Wiki page for the SSDI don't agree with Mills either. Now to the main issue, does the suggested citation on a Wiki page have to agree with anyone's idea of the ideal citation format? I can't believe that achieving that goal would be possible in this lifetime. Is FamilySearch, as an organization, responsible to see that some idealized citation format is used in the Wiki. Not as far as I understand how the world and wikis are put together. Let's not get stressed over citations. There are worse things to worry about. How about formatting County pages? I got a comment recently about someone with over a hundred floppy disks full of information including old Personal Ancestral File (PAF) files. The person, who did not leave any contact information except another Blog, has an all too common problem. In fact, I had to address exactly that issue for someone I know. I am still carrying around their floppy disk to try give it back to them the next time I see my friend. There are really two problems here. First is the problem of the vanishing floppy disk technology. None of the newer computers are being sold with floppy disk drives and finding a working disk drive is becoming a challenge. If you have any information on floppy disks, now is the time to act. The availability of floppy disk drives will only get worse as time goes on. You can still purchase a USB floppy disk drive and they are really inexpensive, but I don't expect that they will be available much longer. But what is more of a challenge is the obsolescence of the software. I wrote about this problem back in 2009 in a post called "A Disaster Averted." With a bunch of old floppy disks that haven't been used for some time, there is a distinct problem that some of the files will not be recognizable by any current programs. Finding old copies of the programs on working computers is a challenge. But then migrating the files to newer operating systems and newer programs is even more of a challenge. PAF is a good example of a program that not only has various versions, but has now been abandoned. If you have old PAF files, your best bet is using one of the newer database programs, like Ancestral Quest, to open the old PAF files and convert them to a newer, more usable format. Another way to achieve the same thing is to find an older, still operating, version of PAF and use that to open the still older files and save them in the newer version. For example, using version 4.0 of PAF to open the version 3.0 files. I suggest taking the files to a local Family History Center to see if someone has the capability of opening the files and saving them in a newer format. As to all the other data files, each one would have to be addressed according to the version of the original program. As I found out, new versions of Microsoft Word do not open old data files. The commentator has a problem, but the problem with only continue to get worse over time. I guess it is time to talk about data migration again. The past few posts, I have been commenting on certain alleged facts that were fairly easily demonstrated to be wrong. Thomas Famous Morris was probably not born in Booneville, Kentucky and Booneville, Kentucky was not the location of Daniel Boone's settlement called Boone's Station. Where do these facts come from? Why would anyone publish an easily disputed and more easily disproved fact? Let me back track a little. There are two (possibly more) ways to approach the idea of proof. You can start with an a priori premise or assumption and then try to prove or disprove the assumption or you can gather information, analyze it and then build a case based on the evidence. Both methods have their advantages and pitfalls. The English Common Law system, used throughout most of the United States, is based on the idea that someone will take a position and try to prove it. For example, I am involved in an accident. I am injured. I believe the other party to be at fault. Therefore, I am going to try to collect my damages from the other party by proving my claim in court. In all of these types of claims, the claimant begins the process by making an assumption and then trying to prove the assumption. Beginning with an a priori assumption is very attractive. But it is also a trap, in a sense, it predetermines how you allocate your resources. You have already made up your mind what you are trying to achieve and therefore you do what is necessary and spend the resources (i.e. hire an attorney) to "prove" your assumption or claim. In genealogy, making an a priori assumption is analogous to deciding that you want to prove your ancestors came to America on the Mayflower and then setting out to find the connections based on a family tradition even if you have no reason otherwise, to believe that such a connection actually exists. I can assure you that many lawsuits are based on just that amount of factual support. In our legal system, some unfounded claims are winnowed out by the complex rules of our court system. However, if someone wants to spend the time and resources, even totally meritless claims can be kept alive in the court system for years and years. Eventually, the court system shuts those claims down and the litigation ends. Unfortunately, in the genealogical realm, there are no judges and juries ultimately resolving meritless claims. If I wanted to write a book and claim to be a literal descendant of Daniel Boone, I could do so and no one would be there to question my claims. So what would it matter, if I published an entirely fabricated pedigree "proving" that I was a Mayflower descendant? Who in the genealogical community would care? I wouldn't expect you to be able to qualify for any of the Mayflower organizations, but you would still have your book! If you think about it for a while, you will start to realize that there is huge body of unsubstantiated claims out there in the world, everything from alien invasions to surviving dinosaurs. If I want to write a book "proving" that aliens from outerspace built the pyramids in Egypt, then who is there to stop me? (My apologies to Stargate). So, for proof to be a valid concept, you have to have something like a judge or jury to pass judgment on the veracity of the assumption or claims. In the absence of someone fulfilling that judicial function, there is nothing to prevent fabrications of the worse sort. So on a very local and minor basis, if the residents of Booneville, Kentucky want to advertise that Daniel Boon slept (or lived) there, what can anyone do about it? But here is the counterweight to stop the landslide of manufactured genealogies; along comes someone like me and pokes holes in the assumptions and theories. I have the audacity to ask for proof in the form of substantiated source documents. I have the further audacity to adhere to The Genealogical Proof Standard. All the fabrications and drivel in the genealogical world isn't worth one good documented pedigree with abundant copies of the source documents attached. So when do I have enough proof if there is no one out there in genealogy land judging whether or not I have made a sufficiently convincing argument? Oh, that IS the question. So why do I care if Daniel Boone lived in Booneville, Kentucky? I got started on this present moderate tirade when one of my friends came to me with a Mayflower ascendancy chart showing his relationship to the passengers. Two of his ancestors listed on the chart were reportedly born in Booneville, Kentucky, a very small town, now the county seat of Owsley County. The crucial date here is 1783, the birth date of the earliest of the two ancestors. Why is that date crucial? I will review a little elementary history. It is generally accepted that Kentucky's first permanent settlement was by James Harrod, who led the first group of European settlers and founded Harrodsburg in 1774. Harrodsburg is located almost in the middle of the modern state of Kentucky in modern Mercer County. At that time, all of the present state of Kentucky was in one Virginia county called Kentucky County which was formed from Fincastle County in 1776. Kentucky County was then divided into three Fayette, Jefferson and Lincoln counties in 1780. All of modern Mercer County lay in Lincoln County. In 1775, Daniel Boone came from Virginia into Kentucky and laid out the settlement of Booonesborough. See Library of Congress:The First American West:The Ohio River Valley, 1750-1820. Kentucky was admitted as a state in 1792. The location of "Booneville" was listed in Bourbon County, Kentucky. It took just a few minutes to determine that the present Owsley County was created from Breathitt, Clay and Estill counties in 1842. It took a little longer, but the town, now known as Booneville, was never in Bourbon County. See Atlas of Historical County Boundaries. So I knew that the places listed on the Mayflower chart were likely wrong. I say likely, because I still only had a few historical facts. Meanwhile, I began looking at the history of Booneville, Kentucky. The Owsley County Historical Society claims "Booneville, the seat of Owsley County, is located on the South Fork of Kentucky River at KY 11 and KY 30. The site was once known as Boones Station, Daniel Boone having once camped in the area, and Moores Station, for a family of late eighteenth century settlers. Elias Moore donated land for a seat for the new county in 1843 and the town was incorporated Booneville in 1846. The Owsley Court House and post office opened in 1844 and was renamed Booneville in 1846." Now, we have a structure to start answering the question of whether or not Danial Boone ever lived in the area of Booneville, Kentucky. But if he did, it was long before Kentucky was a state and so the question is whether or not Booneville, as a town or village, pre-dates any of the above dates. One thing is clear, my friend's ancestor listed as born in Kentucky in 1783 is inaccurately reported, since at that time Kentucky was still part of Virginia. As for Daniel Boone, he did live in Boone Station, but the location of Boone Station is very well known since it is a Kentucky State Historic Site. As I noted previously, Booneville is not Boone Station. So what about Moore's Station? In an un-sourced list of North American Forts, we have the following entry: "Crab Orchard Station (1784), possibly the same site as Baughman's Station. Also known as Moore's Station" all located in historic Lincoln County. Now the historical record is getting real interesting. Back to the original question in this post. The answer as to whether or not Daniel Boone ever lived in a location near Booneville, Kentucky is fairly easy to answer. He did not. According to well settled history, he lived in Boone's Station until 1791 when he lost the property due to property disputes. In about 1791, Boone's Station ceased to exist as a settlement. See Kentucky State Parks. That still leaves the question of why do I care? My initial questions involved the issue of my friend's ancestors. That is still the underlying issue. We later found conflicting records putting the ancestor's birthplace in Ketucky, Ohio or even North Carolina! What about the Owsley County Historical Society? Can they defend their claim to fame? My friend has a challenge. He now has to find the real birth places for at least two of his ancestors. The inaccurate information certainly calls into question the entire Mayflower Ancestry claim. I need to keep writing so I can show how all this relates to establishing a proof. I also need to go back to the question of whether or not to start with an a priori assumption, or simply gather information. Check back for the next installment (exciting or otherwise). Did Daniel Boone live in Booneville, Kentucky? I wouldn't expect anyone to remember, but a long time ago I wrote a post in which I mentioned that my family had a tradition that we were related to Daniel Boone through his mother, who was a Morgan. One of my family names is Morgan. Unfortunately no relationship exists despite the identity of surnames. Morgan is a very common Welsh name and this particular claim was apparently made solely on the basis of the names being the same. As a result, in disproving this family tradition, I have already done some genealogical research on Daniel Boone. So it was interesting to get into another Daniel Boone question, this one, concerning a claim that Daniel lived in the place now called Booneville, Kentucky. This issue comes up in the context of genealogical proof. How do we evaluate information, data, facts and evidence to construct a proof? Who or what decides that our proof is sufficient. In genealogy, do we start out with an assumption and then try to prove it? Or do we gather information and let the information create the proof? I will look at both ways of approaching a proof, the a priori assumption and the extraction of evidence and deductive reasoning processes. Daniel Boone is a good example. I can a priori make the assumption that Daniel Boone lived in Booneville, Kentucky and then try to prove it or I can simply gather information about Daniel Boone's residences and see what the evidence shows. In both cases, I can illustrate and comment on the process of developing genealogical proof. Now, if I were starting out from the standpoint of The Genealogical Proof Standard, I would first do a reasonably exhaustive search before I ever dared to claim that Daniel Boone lived in his namesake community or one of its predecessor communities. But, if I am fascinated by the a priori claim that he lived in Booneville (or its predecessor community) then I start by focusing in on that question. Do you see the difference? In one case, I start with an unsupported assumption. In the other case, I make no assumptions and simply let the evidence take me where it will. If I find that D. Boone lived in my small town, then well and good, but I do not make that assumption before I have heard any evidence. I call this problem the "George Washington Slept Here" principle. That is, claiming an historical relationship to a famous person without evidence or documentation. But then you say, George Washington really did sleep somewhere every night, so couldn't it be possible that he slept in my ancestor's inn or house? Yes, but here I am talking about methodology and establishing proof. In genealogy, it is exceedingly common to claim a relationship no matter how remote, to a famous ancestor without any real evidence to make the connection. There are even software programs that will ferret out a relationship, no matter how remote and unlikely. Consider that the program has no way of determining whether or not a name in a certain slot in a pedigree is correct or not. The conclusions of these programs is only as valid as the weakest link in the purported relationship. But the real proof issue is much more subtle. It is the problem of accepting unsubstantiated and unsupported claims that may lead us away from the reality or "Truth" about our family lines. Is the object of our search to learn about Daniel Boone or about Booneville? Or both? In one case, like I did previously, we may be interested in Daniel Boone as a relative, but in the other case, we are trying to find our own set of relatives and the fact of establishing a relationship to Daniel Boone is purely incidental to our inquiry. In my post, A Genealogical Reality Check, I started this discussion about Booneville which is the county seat of the present Owsley County, Kentucky. This place is not to be confused with Fort Boonesborough, Kentucky which was the the first chartered town in Kentucky, and one of the first English speaking communities settled west of the Appalachian Mountains. See Wikipedia: Boonesborough, Kentucky. Fort Boonesborough is now a Kentucky State Park and is located about 75 miles from Booneville, Kentucky. OK, so I am running out of time today. This will have to be continued.